Want to get that new version of your Google Chrome extension, but your browser hasn't updated it yet? Well, there's a way to manually update your Google Chrome extensions. Google Chrome does a good job in automatically updating it extensions. However, it updates on it own schedule. Nevertheless, you can manually update your extension whenever a new version is available and your browser hasn’t check it yet. In fact, Google Chrome has a built-in ‘Update Extensions’ button, although it’s a little hidden. So to manually update your Google Chrome extensions, here’s what you have to do. 1. Go to chrome://extensions by either right-clicking your extensions and selecting ‘Manage Extensions’, or by just typing it on the location bar. Once you get there, click the Developer Mode link found on the right-hand side. 2. Finally, click the ‘Update Extensions Now’ button. That’s pretty quick and easy, though it is likely that you have to reload any tabs where you want to use your updated Google Chrome extension. 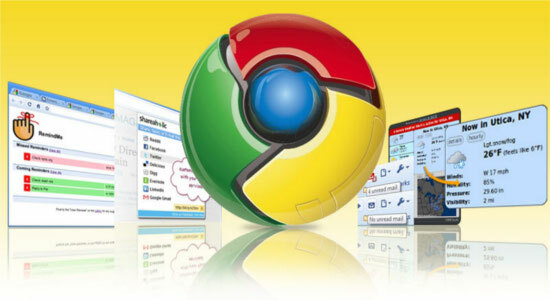 Happy 2nd Birthday to Google Chrome!